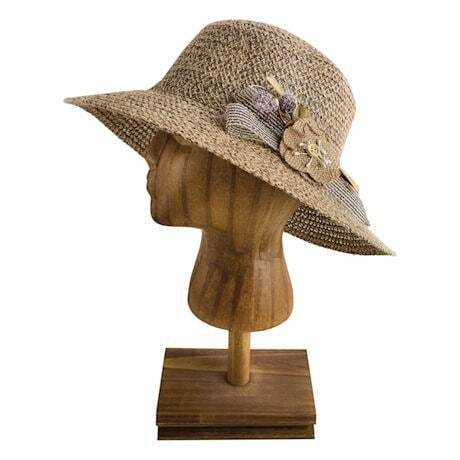 Great for a spring or summer day. 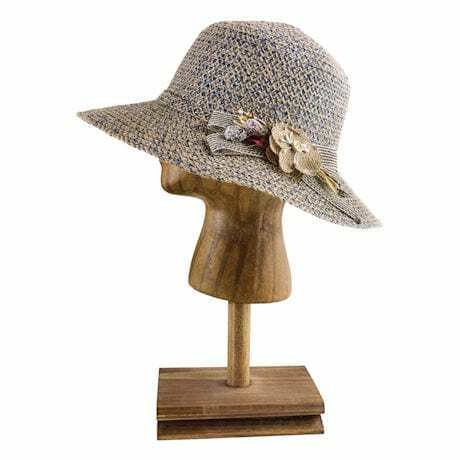 Casual, comfortable cloche hat is made from a braided linen-poly blend. 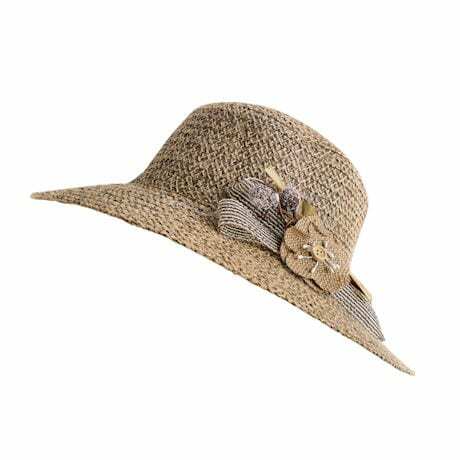 Flexible round top crown is accented with a pretty flower, berries and a bow. Interior adjustable drawstring for easy fit. 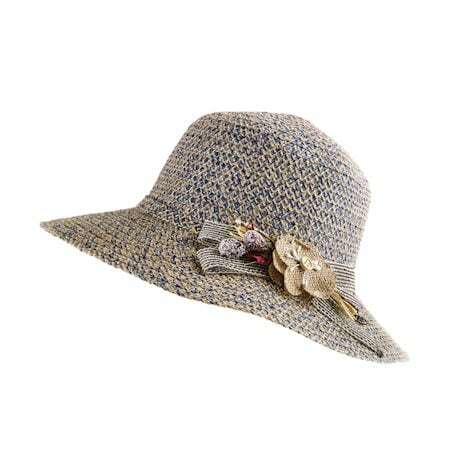 4" downward flexible brim, 13" diameter hat. Packable and crushable. One size fits most. Imported. Choose Blue or Brown.